In the heart of Budapest’s historic Jewish quarter, do not miss Spinosa Café! This friendly café is one of those very few dining spots in the capital city, where you can try a range of kosher-style food - a taste of Israel. They also serve international and traditional Hungarian dishes. As it’s open from 7:30, this café could be just the right place to start your mornings with a coffee and a freshly baked bagel. 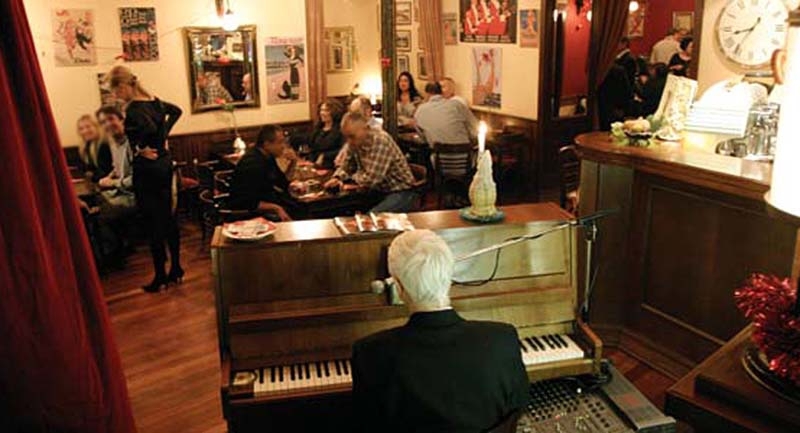 There is live piano music every night, creating a vibrant, lively athmosphere. A number of private rooms is also available.